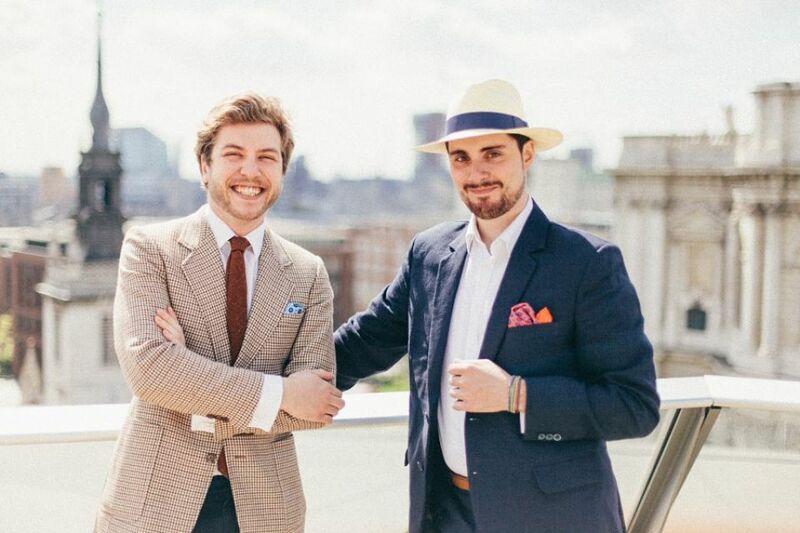 Friends since university, Thibault Fulchiron and Valentin Goux, founders of Monsieur London, decided on one fateful night in 2011 to quit their corporate jobs in France and travel around the America’s in search of business inspiration. Sixteen countries later, the pair decided on a business idea – to combine craftsmanship and quality and create a new line of men’s accessories. We felt that London was the ideal city to start the business and moved here in 2012. We spent the first half of that year brainstorming our business idea, taking on part-time jobs to pay rent whilst having meetings in a traditional English pub on Savile Row. By October that year Monsieur London started trading as a bi-lingual online retailer; selling pieces ranging from leather bags, to bow ties and hats as well as offering uniquely made to order items to their clientele. With a strong understanding of the value of viral marketing, we also have two complimentary blogs dedicated to promoting and communicating our brand values. We wanted to change our lifestyle with starting our own business, and that’s why we stand by our values. Being socially and environmentally conscious forms a crucial part of what Monsieur London is about. Tell us more about your business growth? Our second year of trading was a busy one – with four pop-up shops in two countries and some 30 new products added to the brand – we were ready to expand. However, as we had lived in the UK for two years, applying for a bank loan to support the opening of their first retail space was impossible and we came to London Small Business Centre to see the type of funding that was available. Under the Creative Industry Finance initiative delivered by London Small Business Centre, we were eligible to apply for an Arts Council Funded creative industry loan as well as being matched with an advisor with a creative industry background. We presented our business idea to London Small Business Centre’s independent loan fund panel in March 2014 – successfully securing the funding we needed. We were stressed at first, but the loan fund panelists were friendly and impressed with our business and the pitch. The Monsieur London boutique is based in Royal Opera Arcade, Piccadilly and emphasises the value of collaboration and partnerships during the early stages of a business. Contact us today to turn your business idea into a reality.